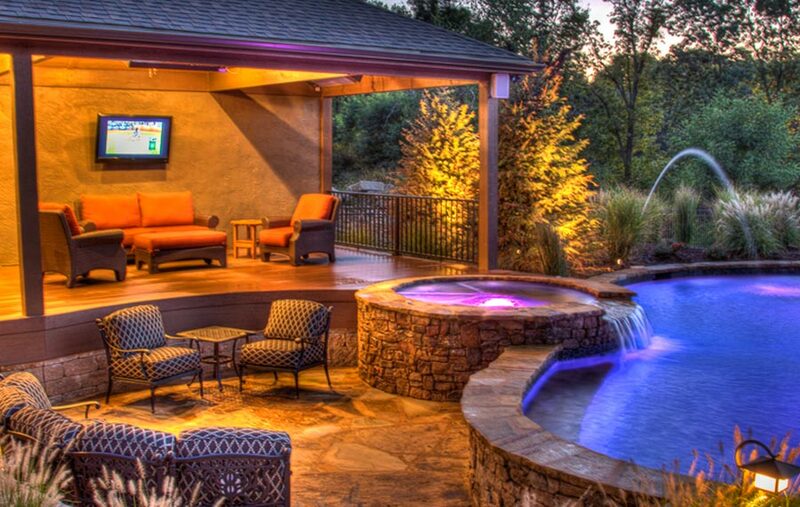 This stunning property was designed to create an outdoor living space perfect for entertaining. The owners enjoy hosting guests every week and wanted a design to bring people together. To achieve the feeling of togetherness, the cabana with outdoor kitchen and TV entertainment was built close to the pool and spa. 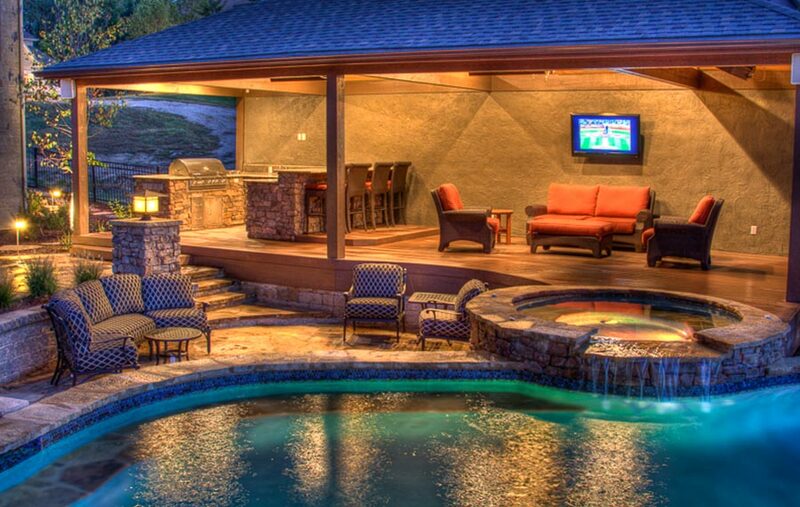 Also, a lower sunken seating area was created between the cabana and pool to facilitate conversation. 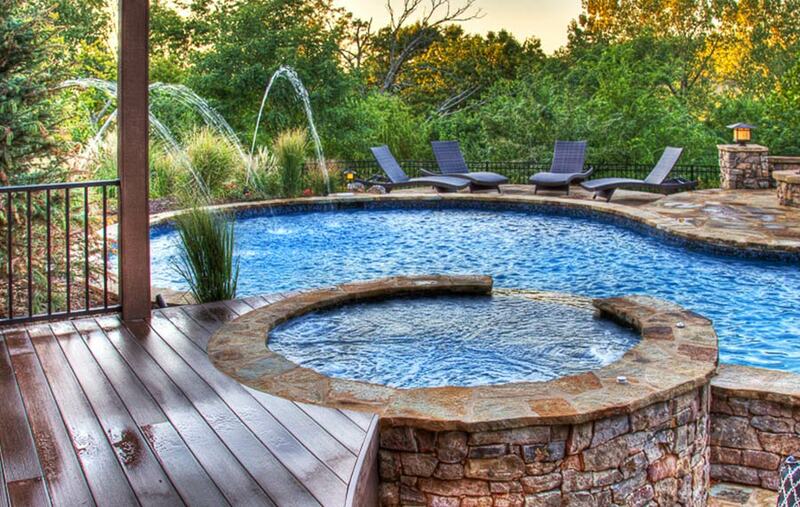 The natural flagstone tiles for the pool deck carry on into the water for a cohesive look. 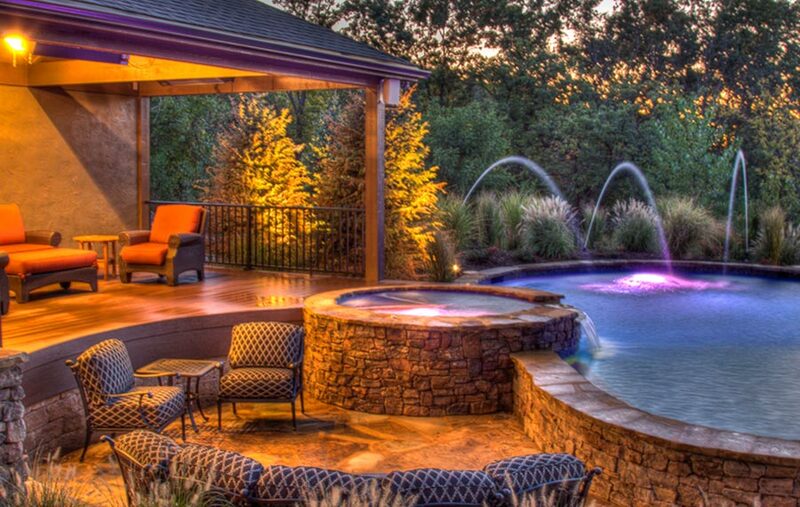 In addition, a built-in bench extends around the pool and leads to a shallow sun ledge. 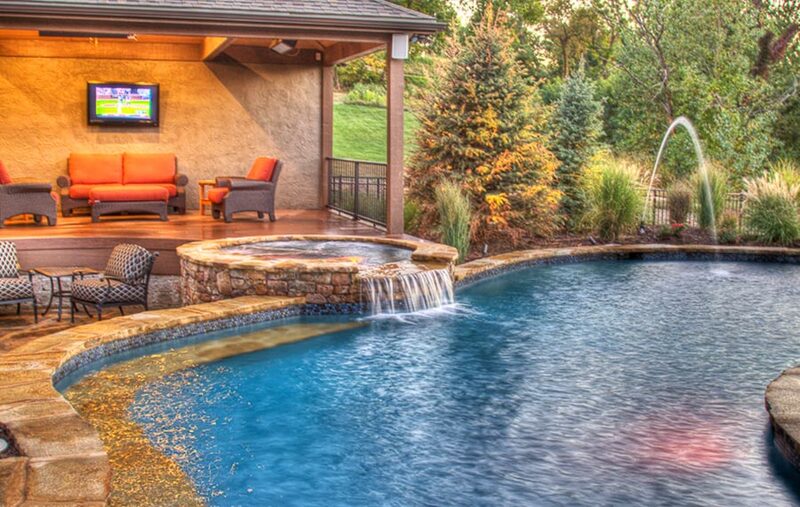 The spa spillover into the pool provides visual interest as do the water jets coming out of the landscape. A full lighting package ensures that the fun can carry on well into the evening hours. 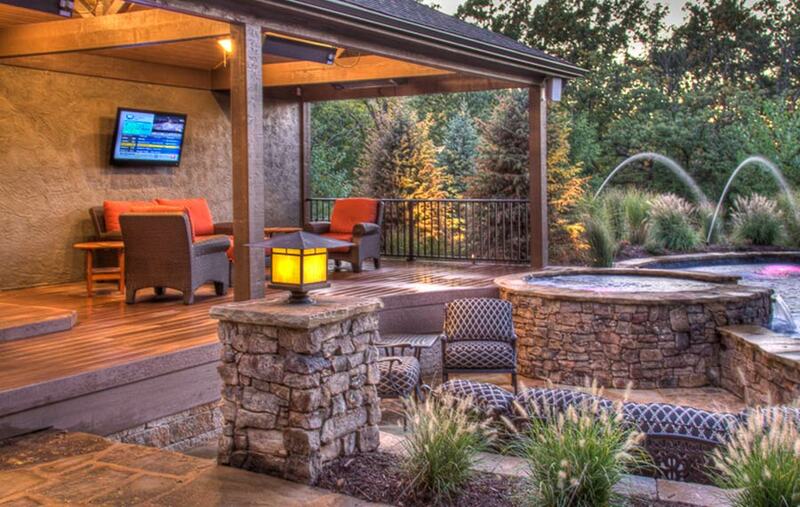 And the addition of heat to the cabana extends the season of outdoor entertainment. Although this is a newer house, access to the site was difficult due to a steep hill in the back. During the wet season, the hill became slippery for equipment and people. We overcame this obstacle and finished the job in 2 1⁄2 months during the spring. 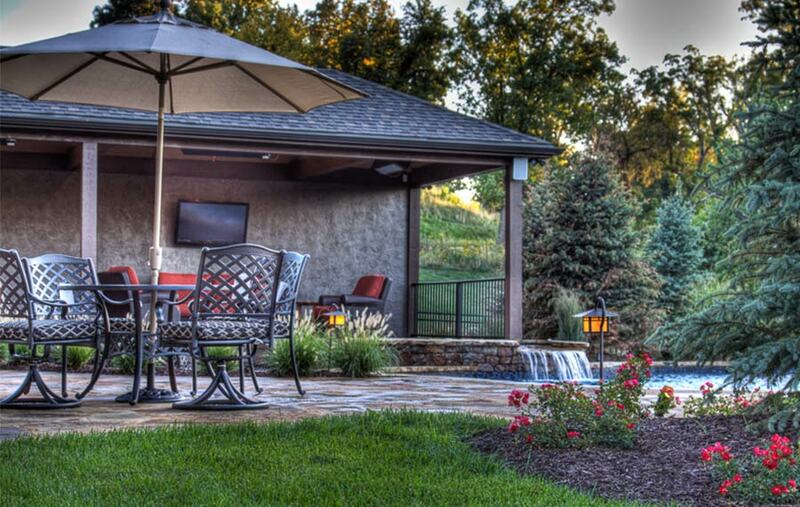 Now the owners and their friends enjoy hours of fun together in this stunning backyard delight.